This post includes an affiliate link for Amazon. 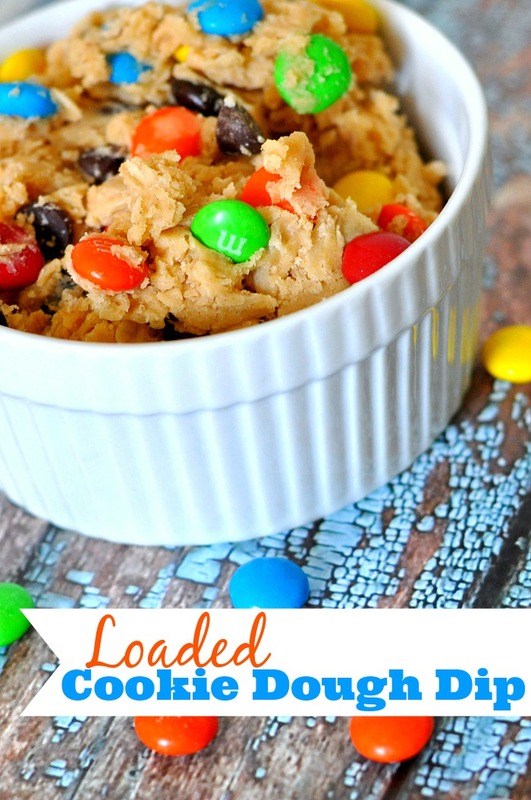 There is not much to say about this Loaded Cookie Dough Dip other than YUM! Like can’t stop eating it kind of YUM that your whole family and friends will love! I made this dip for our Super Bowl party a couple weeks ago. We should have been a party of 12 or so, the perfect size for this big batch of deliciousness… But then, a blizzard hit. Yes, that’s right, a blizzard with it’s 19+ inches of snow. It ended up being a party of 7 including us (thankfully public transport stayed operation in Chicago or it would have been a party of 2 with a LOT of food), and everyone there loved this dip. The bad thing? I was left with way too much leftover and it calls to me every time I open the fridge. It is just too darn tempting! For anyone wanting to lose weight or watch what you eat, do NOT keep the leftovers. Send them along with a friend. Trust this word of warning! 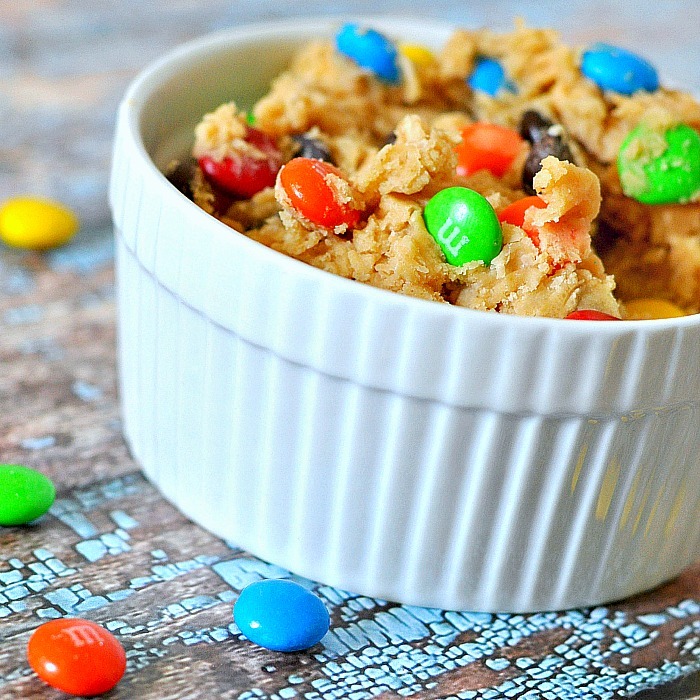 You, your family and your friends will not be able to put down this Loaded Cookie Dough Dip! Easy to prep and even easier to lose track and eat the whole bowl! Serve with: graham crackers sticks, apples, pretzels ... the sky is the limit! With a hand mixer, beat the cream cheese, butter, and peanut butter until smooth. Add in the powdered sugar, brown sugar, flour, and vanilla. Combine well using mixer or spoon. 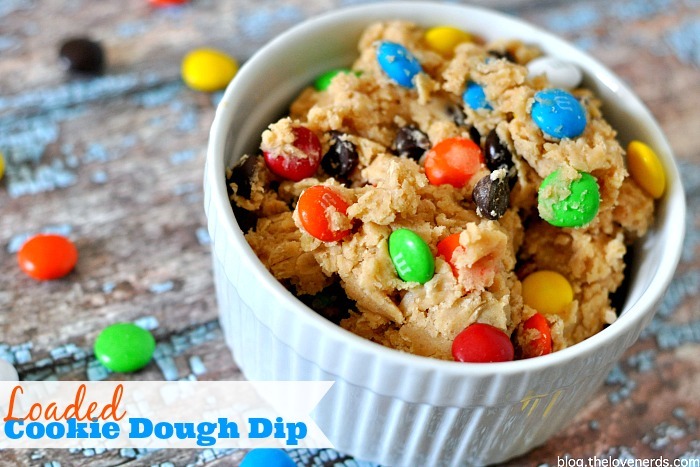 Do you have a favorite dessert dip? This one has definitely become a new fave but I still love my Caramel Cheesecake Dip, PERFECT with apples, and my Funfetti Cheesecake Dip, too! The best thing about dessert dips is how easy they are to make and I will take a 15 minute dessert prep for an event over an hour making cupcakes any day. Random Tip: If you love dessert dips, too, you might want to consider investing in chiller bowls! I don’t know what I’d do without them. I always put mine in the freezer earlier in the day and then store my dip in one of my Chiller Bowls . It has a gel lining within the bowl that will keep your refrigerated dip colder longer while out on the counter. They are awesome!